Here is a clip from the Film taken this summer when our MGFA girls went to Rockhill! It was such an honor to get to meet and become friends with the Toledo Troopers! Well it was an exciting week in North and South Carolina!!! Pics and details of how the trip went to be posted soon! But here is a sneak peak. Meeting the Toledo Troopers and Sharing the evening with the them as they got inducted in to Women's Football Hall of Fame was definately the highlight! 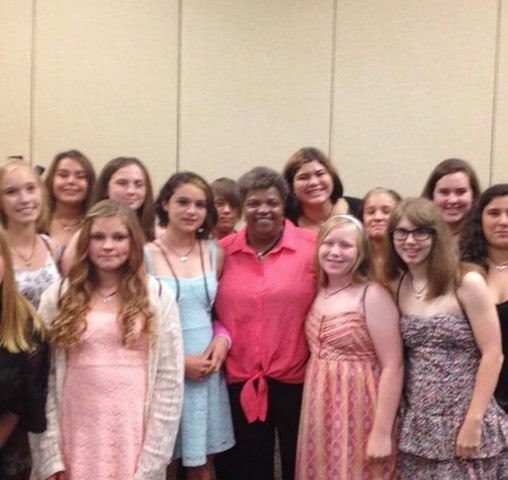 Here are some of girls with Linda Jefferson! A HUGE thank you to our generous sponsors of the MGFA road to Rockhill program! The Sr Championship highlights are up on the Midget League You tube channel! Thank you Chris Holigroski for all your work getting these together! A HUGE thank you to Tracey McGillivray for sharing the Mustangs JR girls game film with the league!! Check out our tab Pictures and Film for the links! MGFA jr Team Highlights are up on You tube! A HUGE thank you to Chris Holigroski of the Midget League for taking the time to come out to the finals! Sr Highlight link will be posted when available. Congratulations to both the Jr and Sr Mustangs! Both have earned the title of 2014 MGFA Champs!!  Come on out to the St.Vital Mustang field and cheer on the girls of the MGFA! Championship Next Thursday and Both Games will be at Mustangs! Tomorrow night the MGFA road to Championship begins! Good luck to all the teams this week, you all have worked very hard this season and come so far. Each and every player in our program is amazing for taking on the challenge of playing the game! c. Average points scored against in all league games, excluding forfeitures. As per tie break b nomads are in 2nd place. Week Six! Final week of regular Season! We are coming to the end of regular season! Week 5 has the Mustangs hosting the Nomads (both Sr and Jr) and the Rods Sr host the Eagles Sr. Eagles Jr have a bye this week. Jr game kicks off at 6:30 and Sr games kick off at 7:30! Thank you to Global Winnipeg for coming out to help spread the word about the MGFA! In Jr action the North Winnipeg Nomads host the St Vital Mustangs. Kick off is 6:30 at Markus Howell field! In Sr Action the North Winnipeg Nomads host the St Vital Mustangs and the East Side Eagles host the St. James Rods. Sr games kick off at 7:30. Don't forget to support your local club's canteen! The MGFA Kicks off tonight!! First games of 2014 tonight, new rules will have the girls playing FULL field this season!! Mustangs host the newly formed St. James Rods @ the Mustangs. Kick off is 7:30. Please ensure to bring a lawn chair as there are no bleachers. The mustangs Canteen will not be open this week, but starting next home came at the mustangs, please ensure to get your coffee and hot chocolate from the canteen and help support our clubs! Nomads have double action at Markus Howell Field tonight against the East Side Eagles. Jr's kick off at 6:30, and Sr's at 7:30. Canteen and Nomads store will be open! Please ensure to Park in the lot off Sinclair, there is no parking in the loop off Mcphillips. It's gonna be a wet one out there so make sure to wear your rain gear and make sure to have some cash to support the 50/50 draw at the clubs! Welcome to Season 4 of the MGFA! The MGFA is proud to announce the details for the 2014 Season! All girls born 1998-2005 are able to register for the program and will be split into 2 age divisions. Registration this season will take place at each club. Registration cost is determined by your club. Any questions in regards to which club you belong to, please email mbgirlsfootball@gmail.com and we will direct you to the closest club. Questions in regards to Registration costs need to be directed to your club. Games will be played at the Home team's field season and no longer will be at a central location. Game days will be Thursday for 2014. Registration dates/Locations are as follows, any clubs listed below with out dates please contact them directly for details. Here we GROW! The MGFA is excited to announce our newest Family member! The MGFA is very excited to announce that Greendell Falcons will be joining the league this season! 2014 Registration information will be announced on Friday February 21st. So stay tuned to our Website for important information! Hello MGFA! As we are getting ready to announce the details for the 2014 MGFA season, we would like to invite any player, sister, mom, or Grandma, who will be 16 as of May 2014 to come out and see what the world of football can offer you! You may be too old for the MGFA, but the Manitoba Fearless is recruiting players for the 2014 season and would love to meet you! The Fearless Team meeting will be held Feb 5, 2014 at 7 pm at the St.Vital Mustangs Clubhouse on Forbisher road. Come on out and see what the world of Senior Women's Football has to offer you! We are currently hard at work planing out the 2014 season and will be releasing info on Registration in the next few weeks. Please check the website in the coming weeks for all the details.